Children's Corner is located in Topanga, CA. It is a pre-school that serves children ages 2-5 and has a capacity of 23 children. Muse Elementary is a private school that encompasses both an academic and social approach of providing children with tools to engage in the world, to develop compassion and awareness of self, their peers, their neighbors and their global friends. Topanga Elementary Charter School provides an integrated core curriculum K-6th grade; focused on independent thinking, decision-making, problem solving skills and creativity, with an emphasis on community and global attitudes. Our educational plan allows students to achieve according to their individual abilities and learning styles. 1459 Old Topanga Cyn. Rd. Topanga Mountain School is a small private middle school for grades 6, 7 and 8 located in Woodland Hills, CA at the foot of the Santa Monica Mountains. 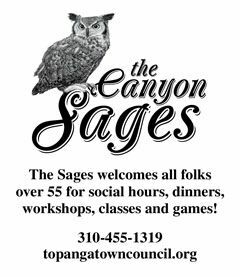 TMS was founded in 2001 to serve the nearby community of Topanga and has since expanded to include families from neighboring communities.